Arrival to Turkmenistan. Our guides will meet you in the airport. 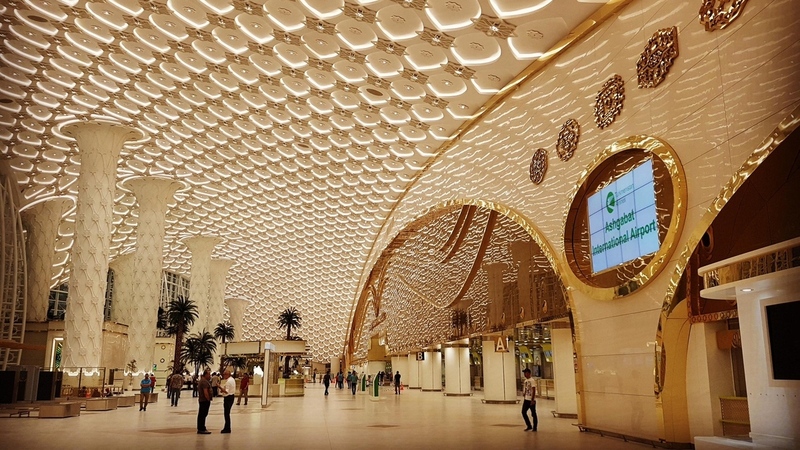 After, you will be placed in – one the hotels of Ashgabat – capital of Turkmenistan.A great opportunity to have a rest and gain strengths, before a long way through Turkmenistan. 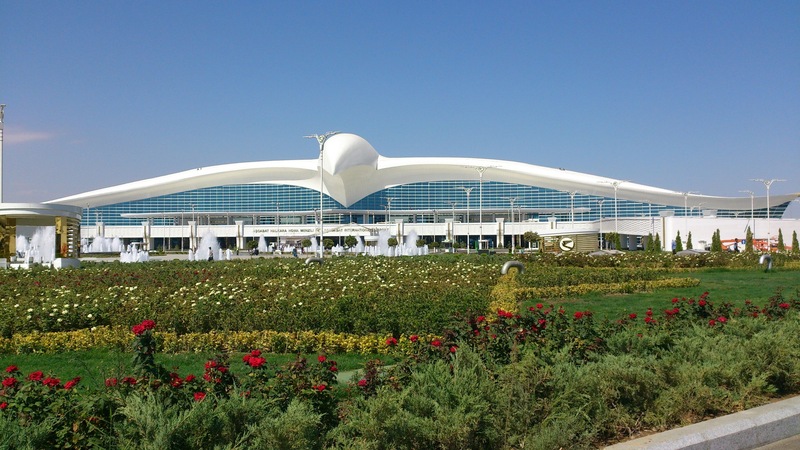 The next day, first point of the long list of attractions – the National Museum of Turkmenistan. Located in the foothills of the Kopetdag Mountains, the museum absorbed all the known history of Turkmenistan. Thousands of exhibits are divided into three large sections of the museum. 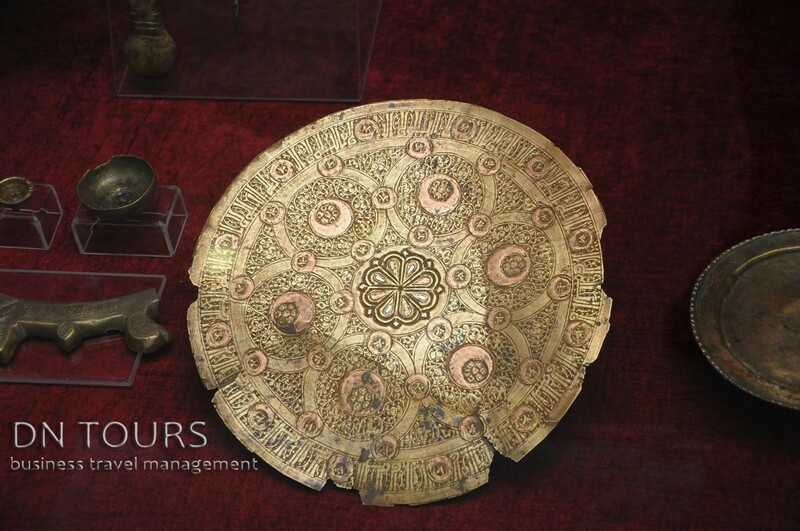 Here you can see objects of everyday life, statues, money, weapons and many other peoples and civilizations that inhabited the territory of today’s Turkmenistan hundreds and thousands of years ago. 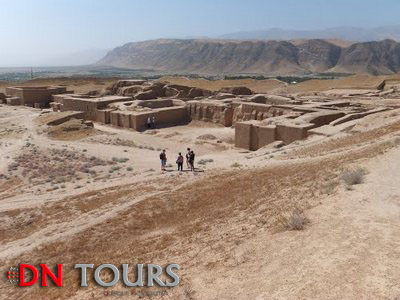 After museum you can visit the ruins of the ancient city of Nisa. The city that was founded in the III century BC conceals a lot of secrets, for many years excavations were carried out here and a large number of utensils and household items were found. A great place to be imbued with the history of ancient civilization. 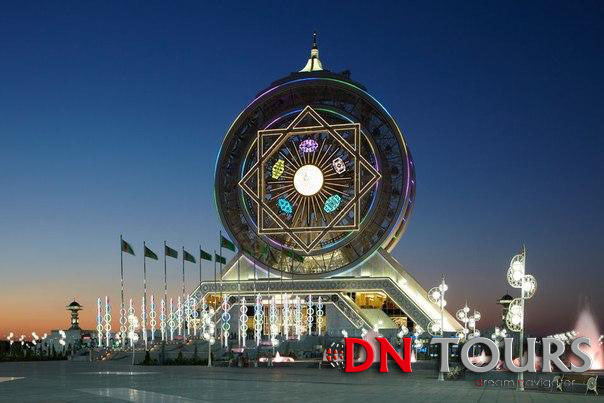 After a hearty and tasty lunch from the national cuisine, you can go to the largest bazaar in Ashgabat, and indeed the whole of Turkmenistan – Gundogar (in translation East), popularly known as “Tolkuchka”. 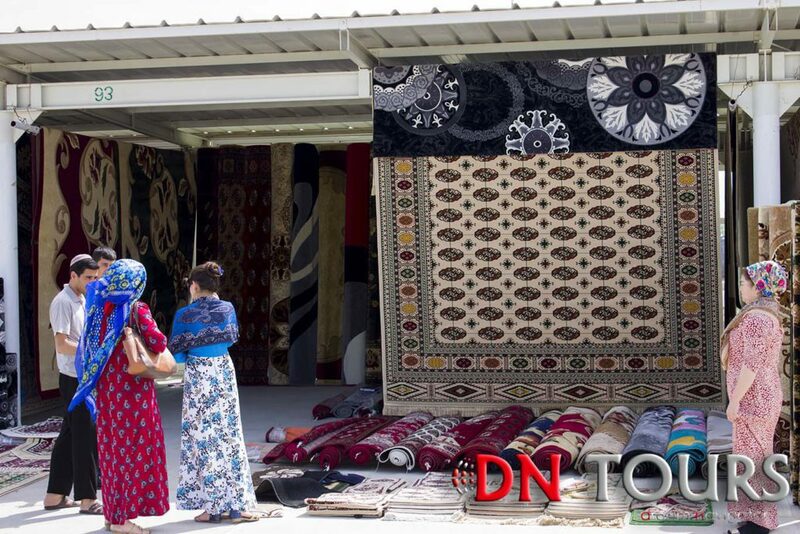 Here you can find almost all kinds of Turkmen products. Bargaining is not only possible, but also necessary. 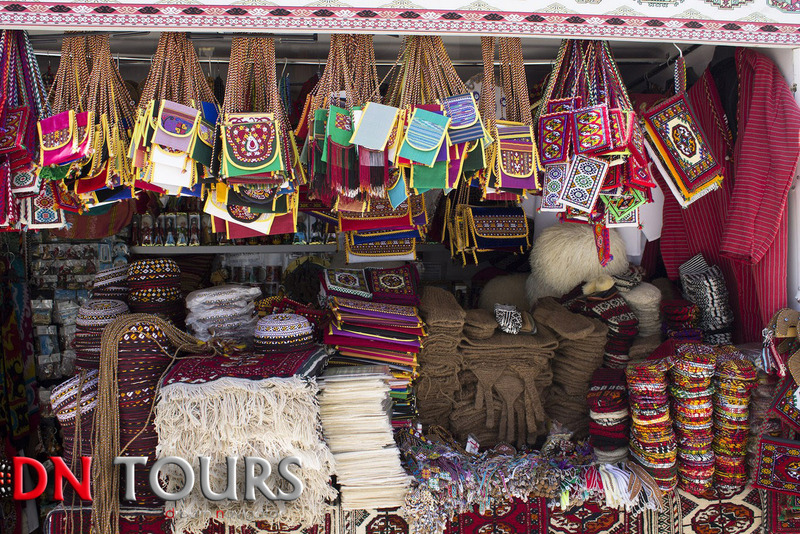 After a walk through the bazaar, you can go to the entertainment center of Alem. It is located in the southern part of the city and included in the Guinness Book of World Records as a structure with the biggest closed Ferris wheel. 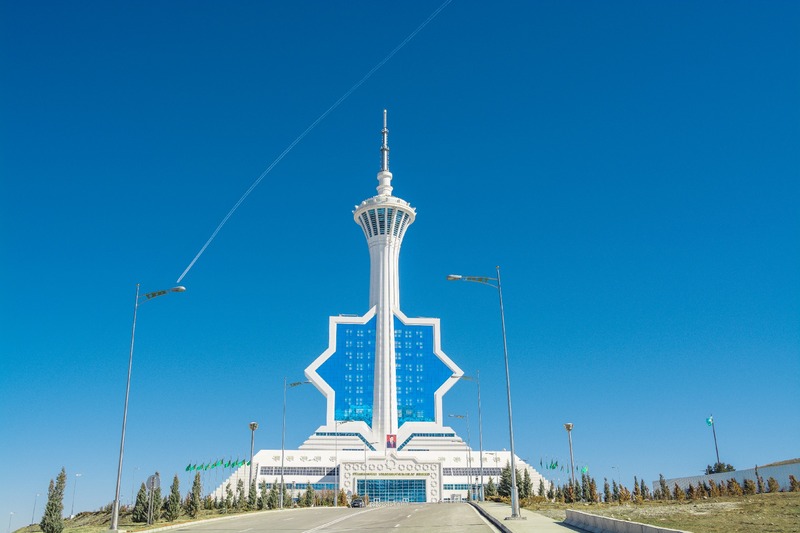 The next day you will take a flight from Ashgabat to Dashoguz, the northern capital of Turkmenistan. 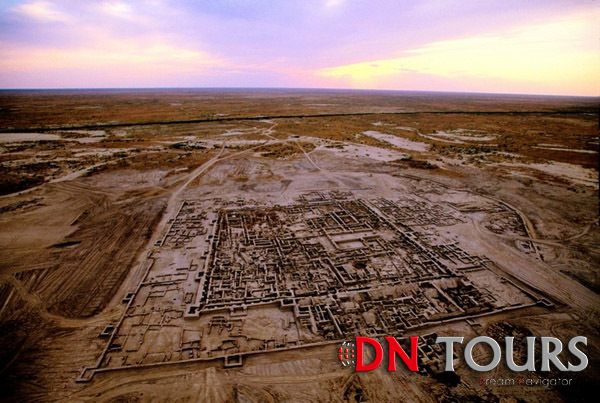 It is here the ancient city Kunya Urgench is located. 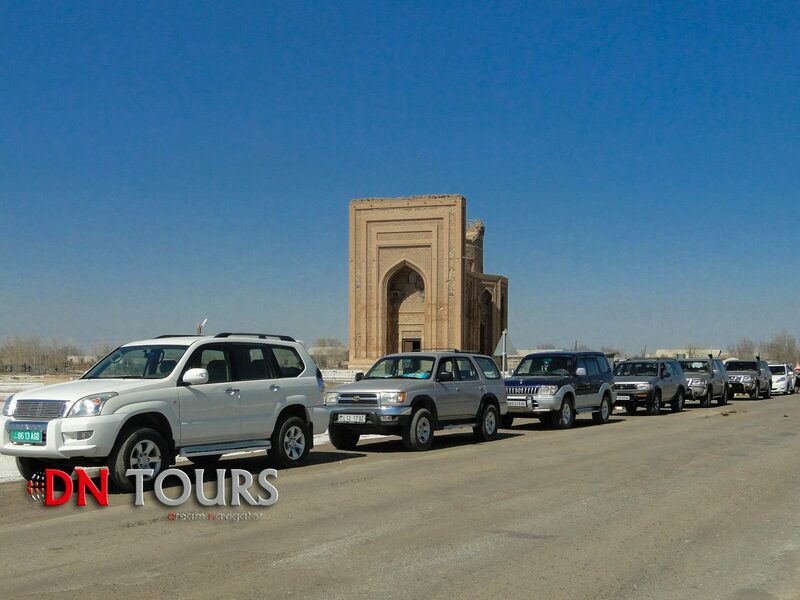 Here you will visit minarets, mausoleums of local sultans and mosques. 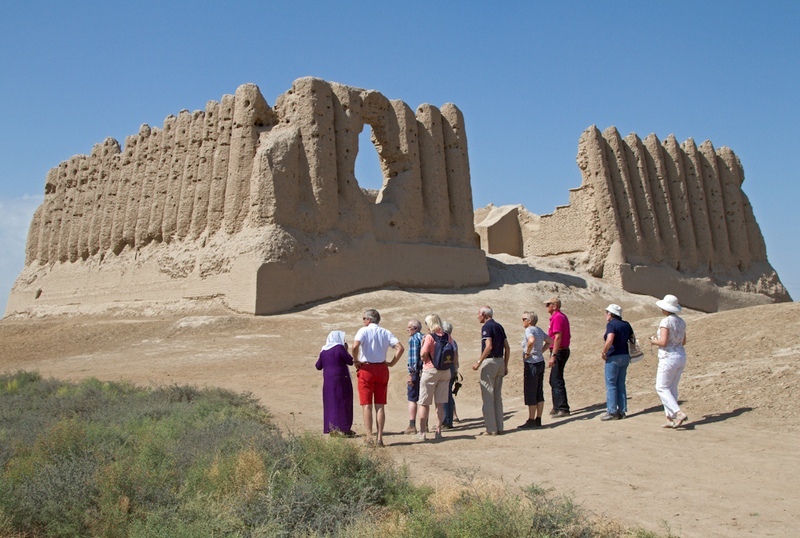 Kunya Urgench is almost two thousand years old, here are preserved buildings of different eras and rulers. 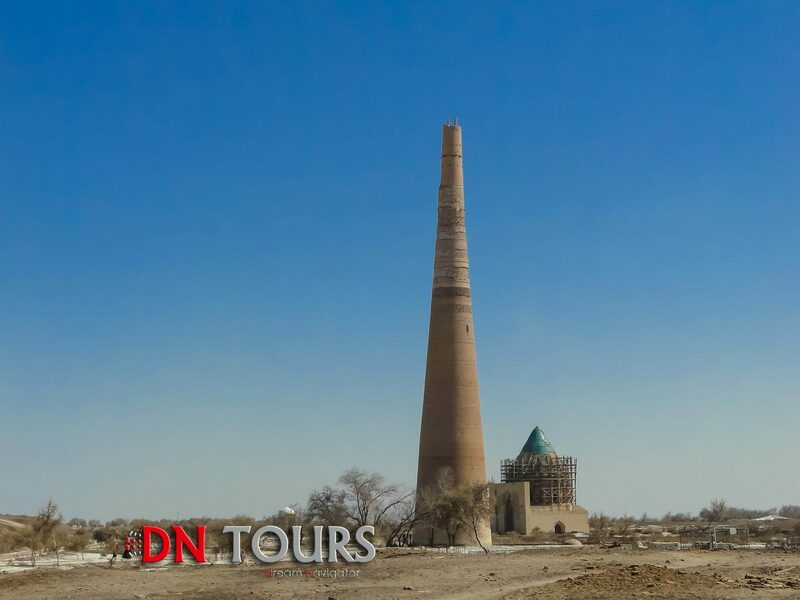 Here is one of the tallest buildings – a minaret, 60 meters high, built in the 11th century, is a holy place for Turkmen people. 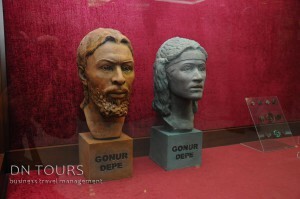 After visiting Kunya Urgench you can go to the museum of the history in Dashoguz city. Here are presented lots of exhibits from excavations, which age is several thousand of years. 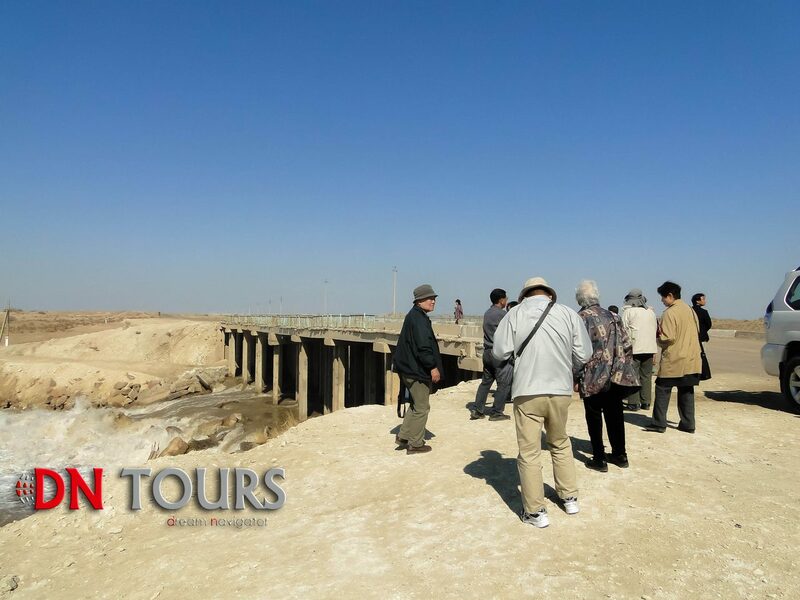 After an early breakfast in one of the hotels in Dashoguz you will take a long trip deep into the Karakum Desert. 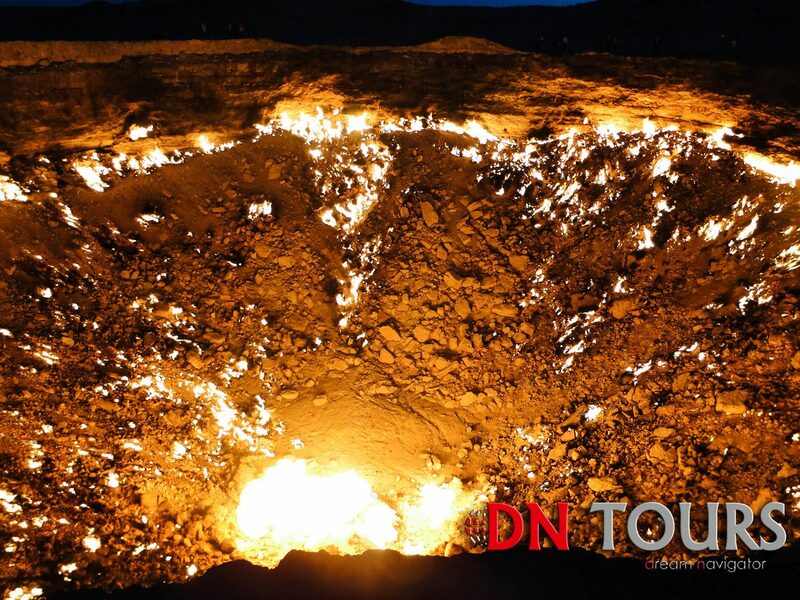 It is here, at a distance of 340 km from Dashoguz city the Door to Hell is located. 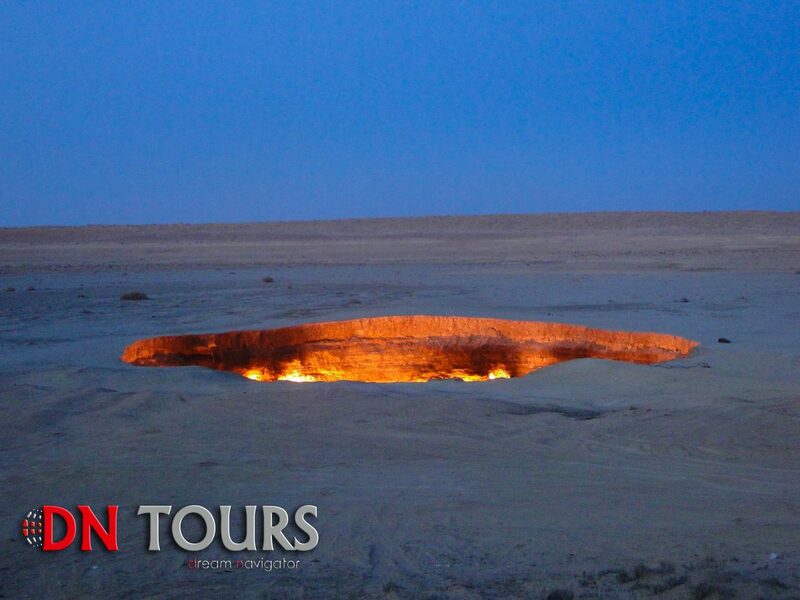 The gas crater in the center of the desert has been blazing for over 40 years and illuminates the night sky with a fiery glow. In 1971, geologists discovered a large gas cluster here. During the prey they came upon a cavern – a void under the sand. Here you will spend the night, alone with the endless desert, the starry sky and the fire-breathing Door to Hell. The next morning, having breakfasted and saying goodbye to the fiery chasm, you will once again go deeper into the Karakum Desert, back to Ashgabat. After 270 km and five hours of travel, you will have the opportunity to dine at a restaurant or have a picnic. 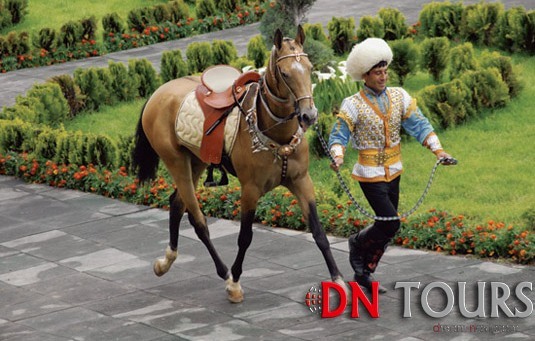 Having rested in the hotel you can go to the stable where the unique breed of horses is bred – Akhal-teke. Akhal is an oasis around Ashgabat, and Teke is a people who lived in it and preserved to our times the purity and impeccability of the breed. 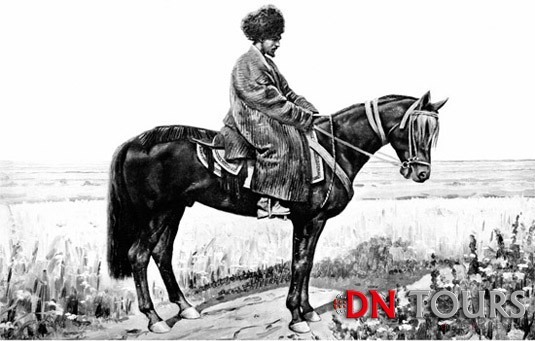 Akhal-Teke wanted to acquire Chinese and Russians emperors. Horses that were donated to other kingdoms, contributed to local breeds, ennobling them and creating new species. Thanks to the Akhal-Teke horses the famous Arabian horses appeared, and it happened only in the 7-8th century, after the conquest of Central Asia by the Arabs. 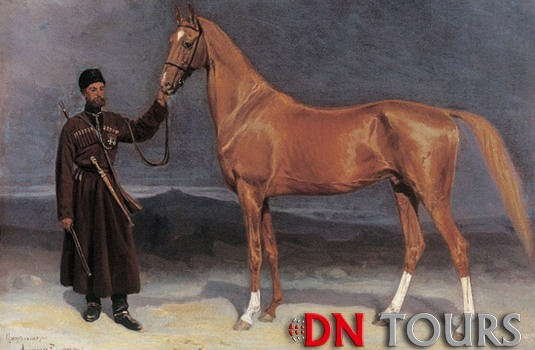 During the competitions in Russia in 1882 contemporaries described the acquaintance with the Akhal-Teke in the way – “… struck remarkably contradictory to the conventional view of the forms of the horse.” And indeed, the Akhal-Teke horses are tall, slender, smart, look noble and majestic. In the world there are only three “thoroughbred” breeds of horses – Arabic, English and Akhal-Teke. Flight from Ashgabat to Mary city, in ancient times known as Merv. 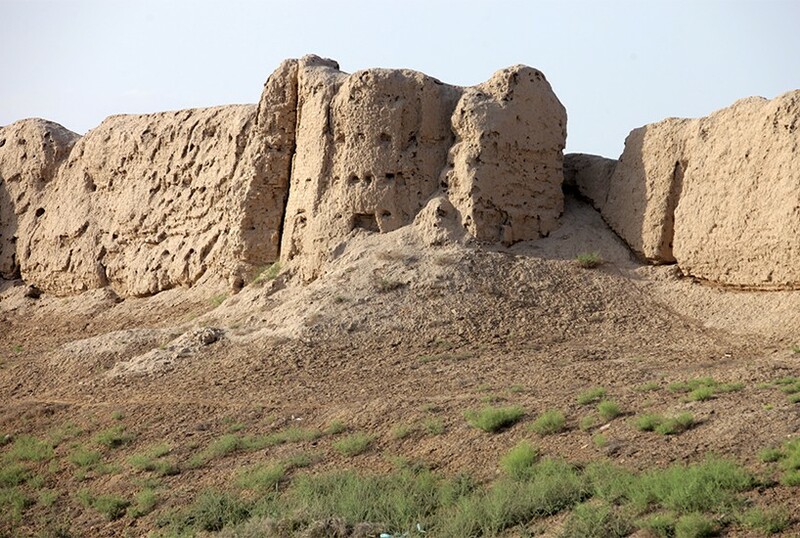 One of the most ancient cities of Central Asia, could not survive to our times in its majestic appearance, frequent wars and desert sands are merciless to everything beautiful. 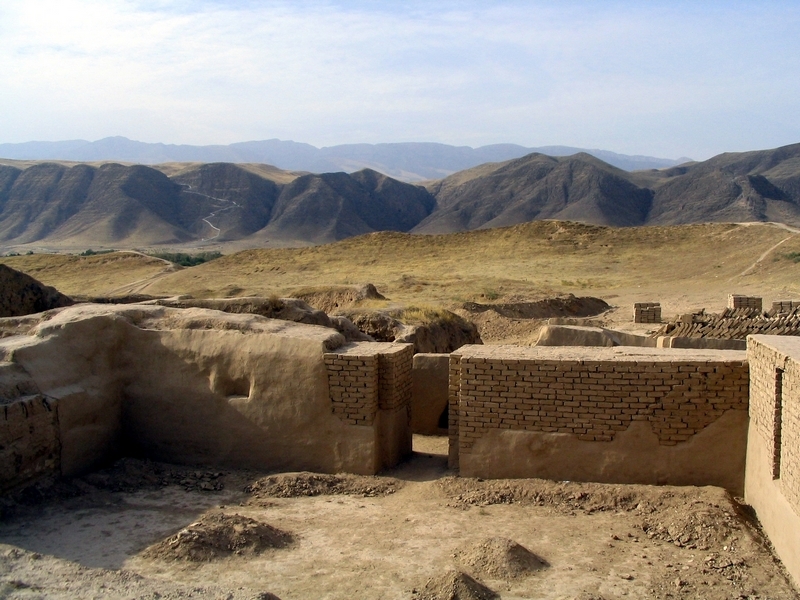 Merv was part of one of the greatest civilizations of the ancient world – Margiana. 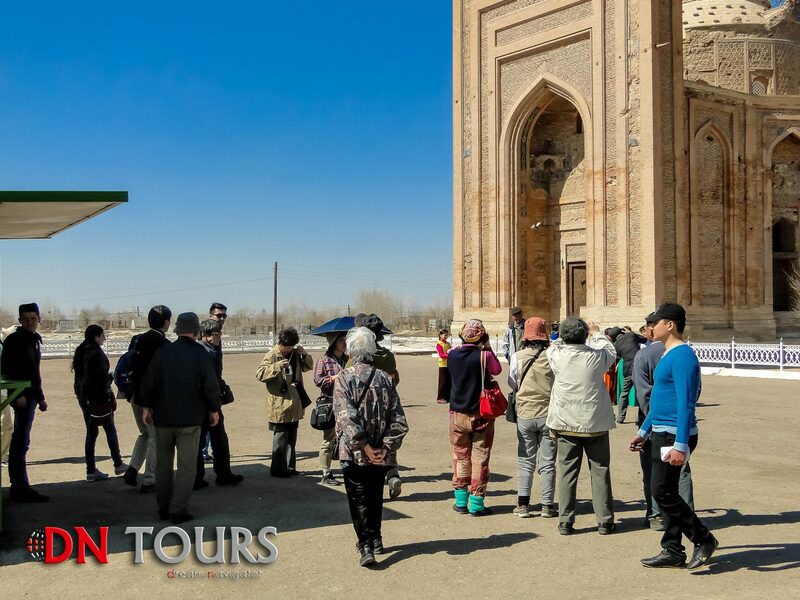 You will visit the ruins of the fortress itself, as well as the preserved mosques and mausoleums around. 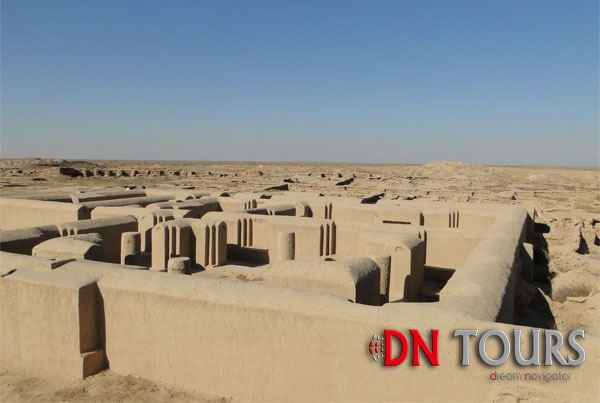 Do not leave without visiting the mausoleum of Sultan Sanjar, a building saturated with the antiquity and grandeur of the former kings. After a hearty breakfast in one of the hotels of Mary city, you will take a trip to the ancient center of the kingdom of Margiana – Margush. Part of the 110 km route will pass along the asphalt, but after it the off-road vehicles will turn off the road, where 70 km of desert will be on your way. Five thousand years of history, a huge city was recently hidden under the sand. Scientists and archaeologists who conducted excavations came to the conclusion that many buildings of Margush could be no less impressive than the buildings of Assyria and Babylon. 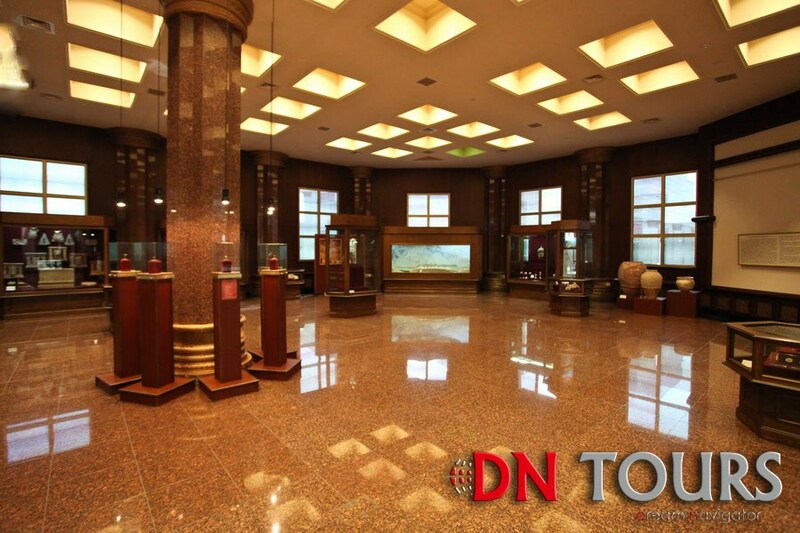 Many exhibits from here you saw on the first day at the National Museum of Turkmenistan. At the evening you will fly back to Ashgabat. 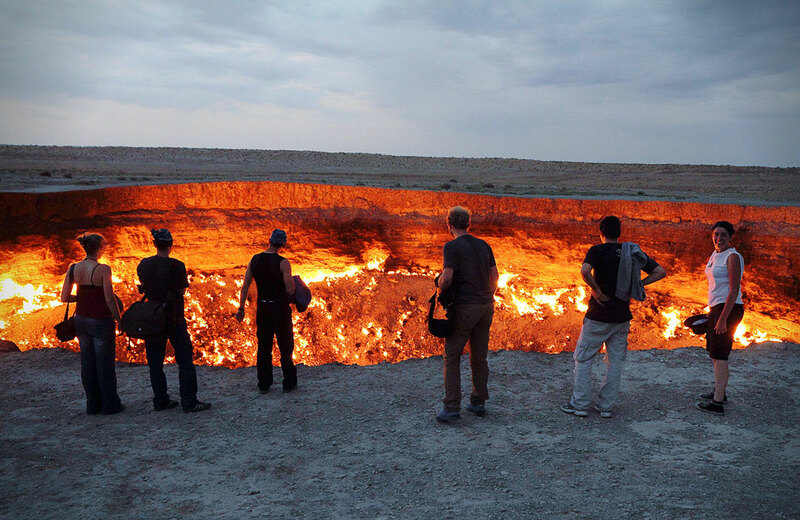 End of the trip to the Door to Hell and the ancient cities of Turkmenistan. Seeing off at the international airport of Ashgabat with the hope of seeing you again. Good afternoon. Please, I wolud like to know about prices and availabilities for the tour of 7 days. I am Brazilian and I don’t know how to get a tourist visa for Turkmenistan. Do you help me with this? Thank you! 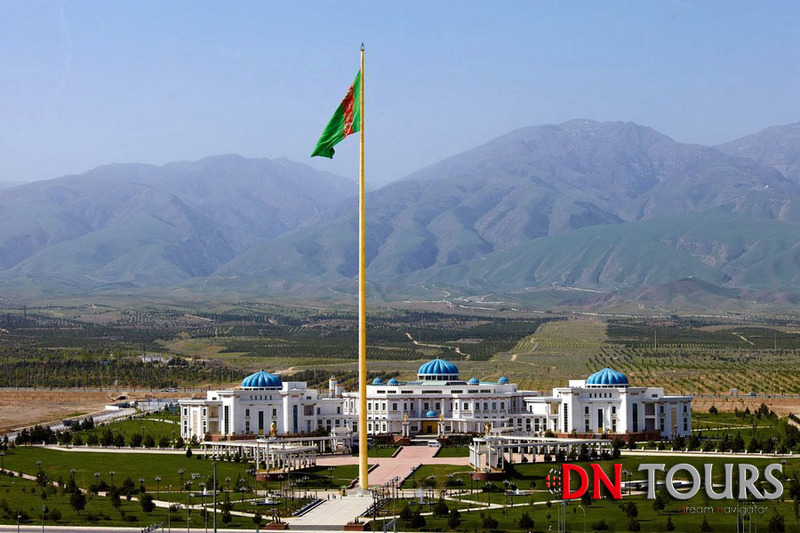 First you must get an invitation letter from one of the travel companies in Turkmenistan then you will be granted a visa at the arrival in the airport. 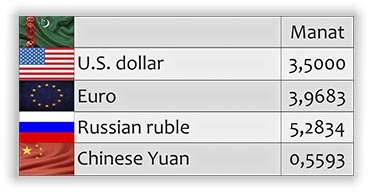 The prices of each company are different so I suggest to contact some of them. I travelled with Oguztour travel company. Everything was OK.